Preventing flu isn’t just about you – though most of these tips will help you protect yourself. Flu prevention is also about protecting yourself and your family (especially its most vulnerable members) from a potentially fatal illness. As a bonus, tips 2 through 9 will also help prevent many other other nasties like Norovirus, RSV, and more. Seriously. It isn’t too late. You’d buy a raffle ticket if it paid off 50-80% of the time, so don’t let naysayers talk you out of a flu shot because it isn’t 100% effective every year. It’s your best, first line of defense, period. 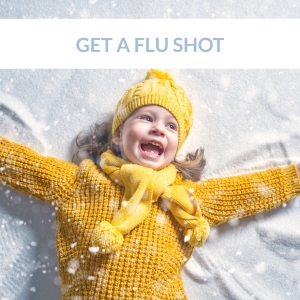 Flu season peaks December through March, so get your shot now to avoid the highest-risk season. Did you know one of humanity’s most significant medical breakthroughs is within your reach and completely free? The discovery of hand-washing to prevent infection had an immediate impact on maternal survival rates after childbirth and has gone on to save countless lives in the 150 years since. Lather, rinse, and repeat. It’s the best way to keep the flu virus from entering your body. Did you know a single doorknob can infect up to half the people who touch it for the next 2-4 hours after it is infected? 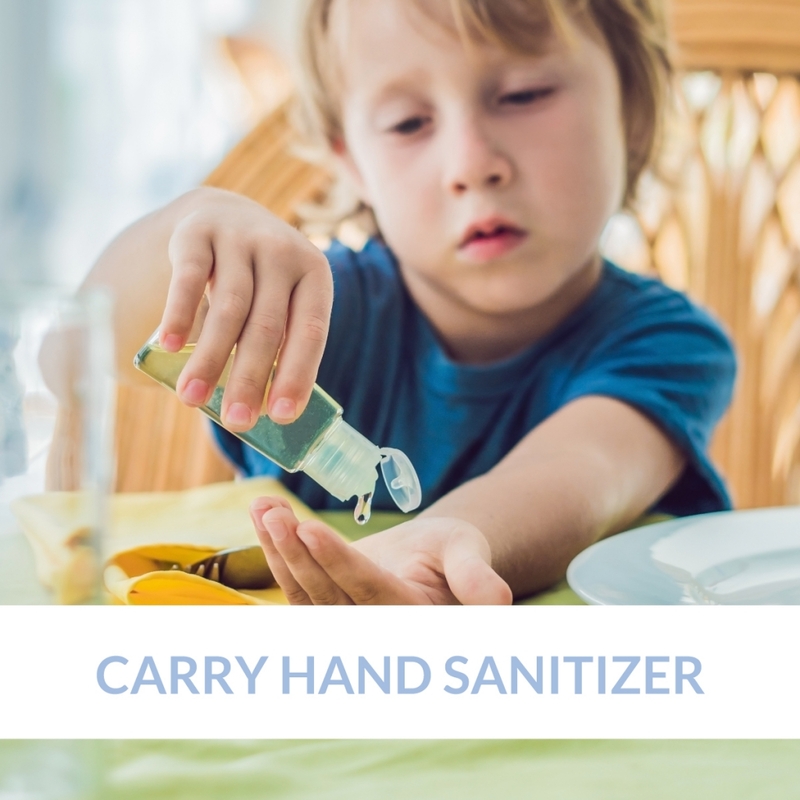 You may not be able to reach a sink as often as you’d like, so carry hand sanitizer as a stop-gap measure between washings. Infections enter your body easiest through the moist tissues of your mouth, nose, and eyes. Make it a habit to never touch your face unless you’ve just washed your hands. Tough habit to break? Start using hand sanitizer and this behavior will prove to be self-correcting. Gym equipment, restaurant tables, shopping cart handles, playgrounds, and your office copier all see numerous hands every hour. 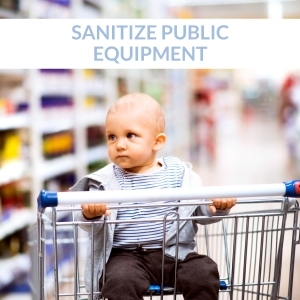 Take a moment to sanitize them before you touch them. And when you’re all done, wash your hands! Our culture exalts those that push through obstacles to get things done. But struggling through illness only to bring it to the classroom is not heroic. 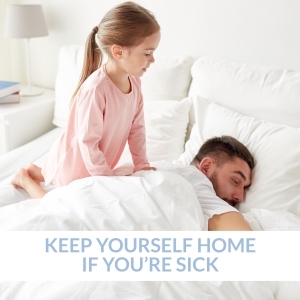 Do your child and their classmates a big favor by keeping your child at home until they are no longer contagious – usually, 24 hours after their fever has ended. Set an example for self-care by staying home when you have a fever and cough. Your coworkers will thank you, and you can use the opportunity to binge on your favorite series. Or, if you feel up to it, use the time to sanitize all the doorknobs and light switches in your house. With luck, the rest of your family can stay flu-free. Several things influence our body’s overall ability to resist infection. Eating a plant-rich diet, regular exercise, and getting enough sleep are all important aspects of keeping this system in balance. If you struggle to make time for this kind of self-care, take a minute to think about how much productivity you’ll lose if the flu runs through your household one. person. at. a. time. The great thing about elbows is we never use them to scratch our noses, rub our eyes, or feed ourselves. That makes them an ideal place to catch those sneezes and coughs. 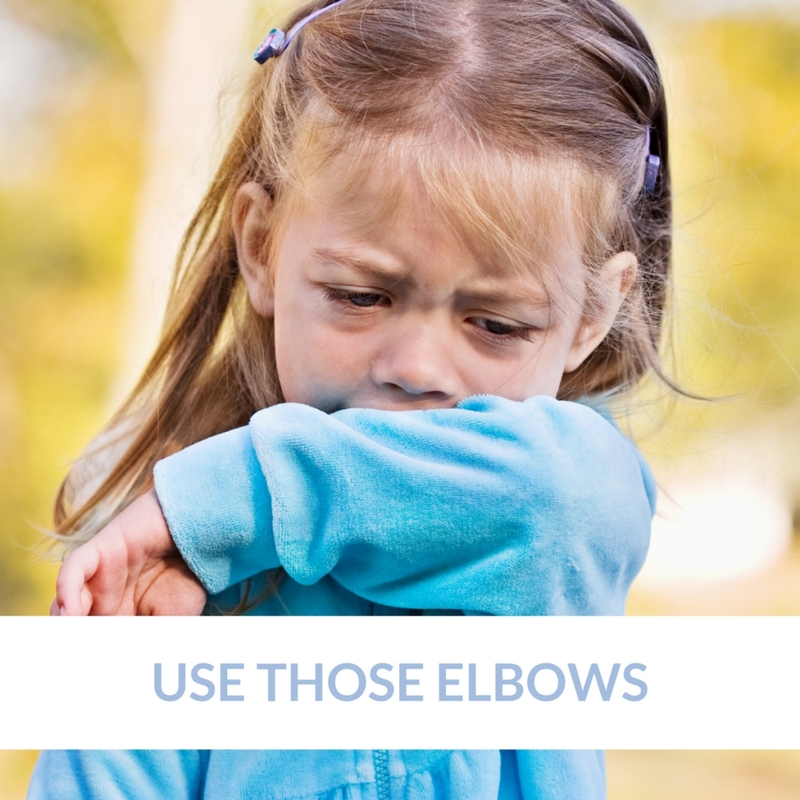 Teach your kids to sneeze into their elbows, and you’ll be five steps ahead when it comes to spreading illness through doorknobs, light switches, and household surfaces. The flu can kill. It’s most dangerous to the very young and the old, but it also kills otherwise healthy children and adults every year. This flu season, the US has already had eleven pediatric flu deaths and we’re only in the beginning of peak season. More than any other bug your kids can bring home, flu poses a serious risk to your entire family and deserves your attention.